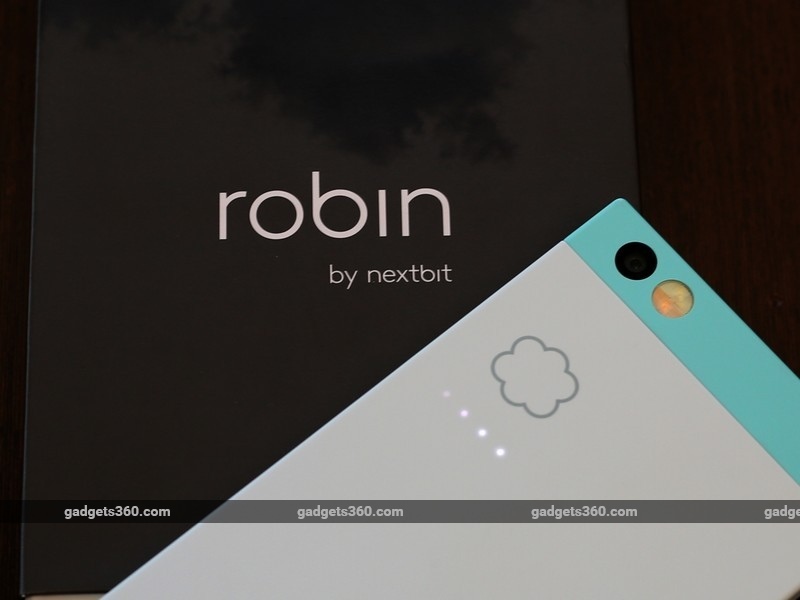 The Nextbit Robin replaces your SD card with 100GB of cloud storage. The unique design and colour really helps it stand out from the crowd. The phone features stereo speakers and runs on Android Marshmallow. Cloud storage is now an indispensable part of our lives and we all use one service or another, be it Dropbox, Google Drive, iCloud or OneDrive, to name a few. The idea of having your personal data safely tucked away for you to access at any time and from any device is brilliant, and it's easy to take for granted once you start using it. We've also seen devices that rely completely on cloud services, such as the Asus Chromebox and Chromebit as prime examples. But is it time for smartphones to make this transition too? Well, Nextbit certainly thinks so. Presenting the Robin, the first Android smartphone which uses deeply integrated cloud storage. Nextbit is not just any other startup; it's backed by veterans from Apple, Google and HTC. Unlike Chrome OS devices though, the Nextbit Robin is a typical Android phone with a reasonable amount of local storage. 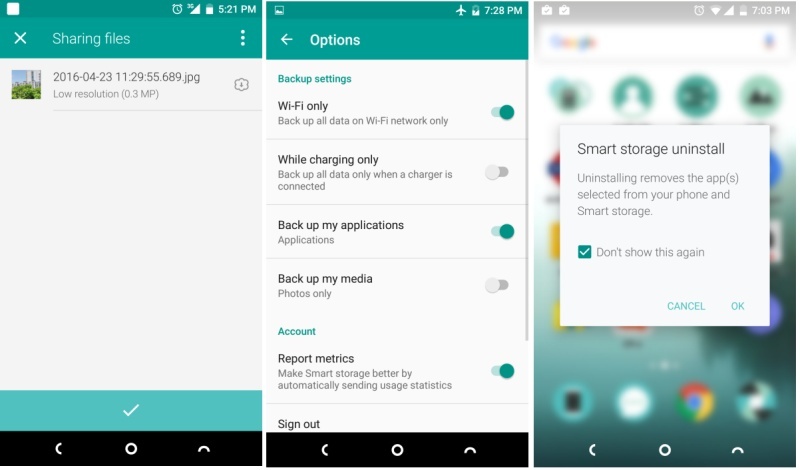 It's when you start running out of space, that the phone's smart storage system kicks in. More on that later; first let's see if the Robin is any good at being a modern day smartphone. You get a sense that this not your average Android phone right from the first time you see its packaging. It looks like a box of fine chocolates and inside, we have a quick introduction on how to set up your SIM card. You get a SIM ejector tool, a flat USB Type-C cable and the phone itself, all presented neatly in the box. Oddly though, you don't get a power adapter or a headset, as Nextbit trusts most of us to have spares lying around. You can purchase a power adapter from the company if needed. The Robin comes in Mint and Midnight colour options, and while we haven't seen the latter in person, the mint looks quite beautiful. Even though it's built entirely of plastic and some may argue that it looks toy-like, the build quality of the phone is superb and it feels great. The soft texture is easy to grip and the dual-tone mint and white body will turn a few heads when you're out and about. Instead of simply leaving the area below the display empty, Nextbit has added a second speaker to compliment the one on the top for stereo sound. Beside it, we have a 5-megapixel front-camera and the ambient light sensor. The display is a 5.2-inch IPS panel with a full-HD resolution and Corning Gorilla Glass 4 for protection. Its pixel density is high enough to deliver crisp images and text, and sunlight legibility and touch response are both very good. The round volume buttons are placed on the left while the single Nano-SIM tray and power button are on the right. Our test unit had a slightly damaged power button, which was a bit more recessed than it should have been. On normal units, the power button sits flush with the body so it's easy to use the fingerprint sensor that's integrated into it. The headphones socket and USB Type-C ports are placed on the top and bottom respectively. There's also a notification LED right next to the microphone at the bottom. Around the back, we have the 13-megapixel camera, a dual-tone LED flash unit, and a series of LED lights below which pulsate when the phone is syncing data to the cloud. 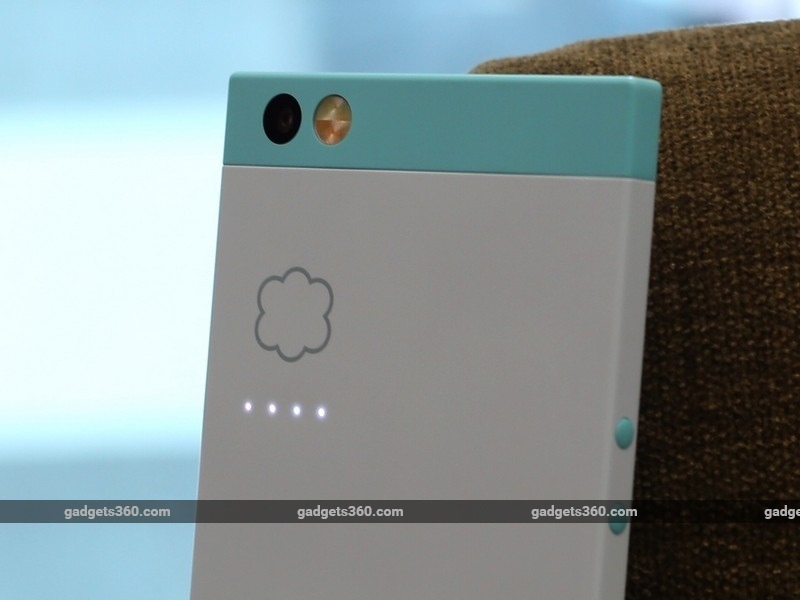 Overall, we love Nextbit's design philosophy for the Robin. It's refreshing, quirky, and downright pretty. Even without the cloud-syncing feature, the Robin has enough mettle in terms of aesthetics and build quality to stand on its own feet. It's not all beauty over brawn though, as Nexbit has outfitted this phone with enough hardware for it to be relevant for the next few years. Inside, we have a hexa-core Qualcomm Snapdragon 808 SoC, 3GB of RAM, and 32GB of local storage. That's complemented by 100GB of cloud storage. You also get 4G LTE with VoLTE support on Band 3 but not Band 40, NFC, Wi-Fi b/g/n/ac, Bluetooth 4.0, and GPS. There's no FM radio and we've confirmed that USB-OTG is not supported either. Nextbit will sell the Robin carrier-unlocked the world over, and even boasts of an unlockable bootloader for installing custom ROMs, which will not void the warranty. 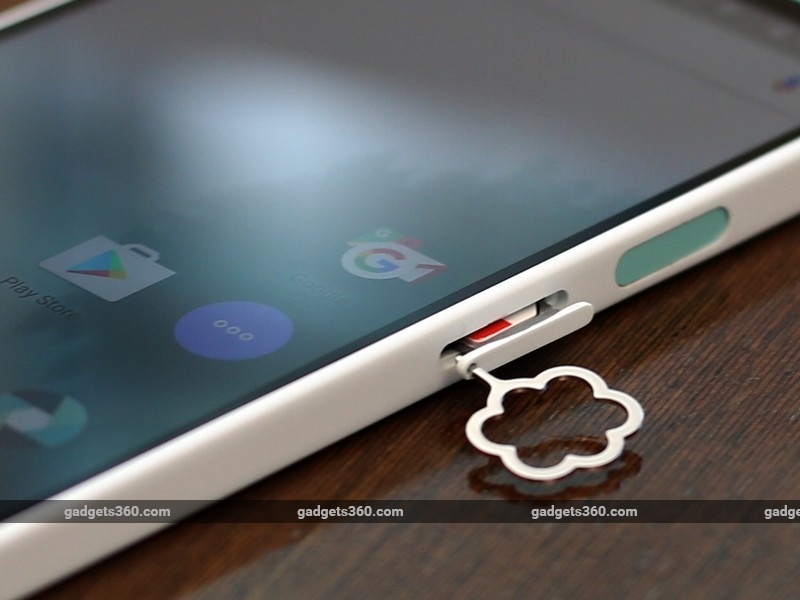 The phone runs on a custom version of Android Marshmallow called Nextbit OS, which ditches the app drawer for a single-layered interface. There are custom icons for stock aps such as the dialler, gallery, camera, etc, which blend well with other apps which follow Marshmallow's Material Design. Widgets have their own separate layer, which can only be accessed by 'pinching' the home screen. There's a permanent menu button which is accessible from any home screen, with tabs that let you filter all apps, archived apps and pinned apps. This brings us to the most unique feature of the phone, which is its cloud storage integration. The Robin's Smart Storage system uses your Google account for authentication. Once signed in, you can set what sort of data you wish to have backed up. Your current choices are photos and app data - videos aren't archived at the moment. You can choose to let the phone back up your data only when it's charging and connected to Wi-Fi, but that's about all the control you really have. The rest is handled by Smart Storage. You can check the status of the cloud storage from within the Smart Storage sub-menu in the Settings app, which gives you a graphical representation of the type of files that are there in the cloud. The very first batch of photos we took were moved to the cloud over cellular data, but subsequent ones only synced when we were connected to Wi-Fi. You are alerted about data being moved to the cloud only the first time, but after that, it all happens in the background. The pulsating lights on the back of the phone are the only indication that syncing is in progress. 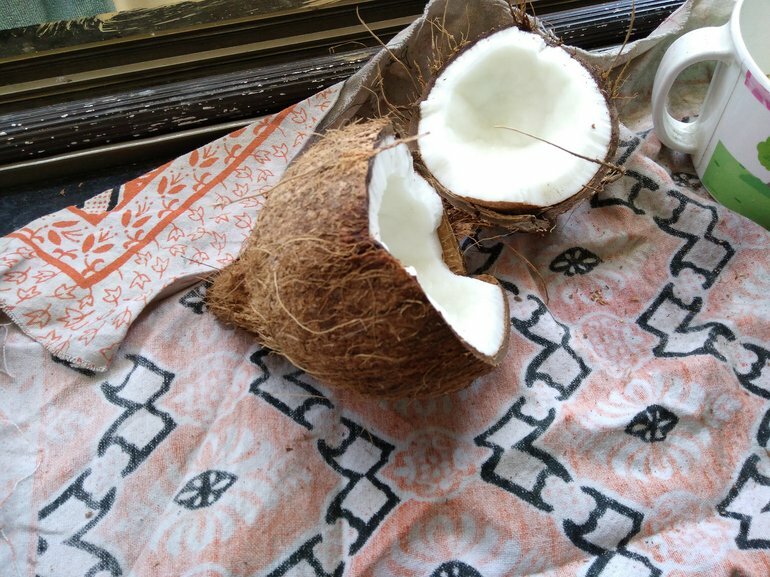 When you try and share a photo from the gallery app, you can see whether you have the original photo ('High resolution') or just the thumbnail ('Low resolution') on the phone. If you try and zoom in to a picture, it will begin downloading the original file if it's not present, whether you're on data or Wi-Fi. For now, only pictures in your camera roll (or DCIM folder) will be synced to the cloud. Apps you don't use frequently can also be archived to the cloud to free up local storage space. These apps's icons appear greyed out on your home screen, and they are referred to as 'ghost apps'. They can be activated by simply tapping their icons, which is when the system will fetch the app's data from the cloud and resume its state exactly where you left it. You can forcibly prevent apps from being archived by "pinning" them by simply swiping downwards on each one's icon. 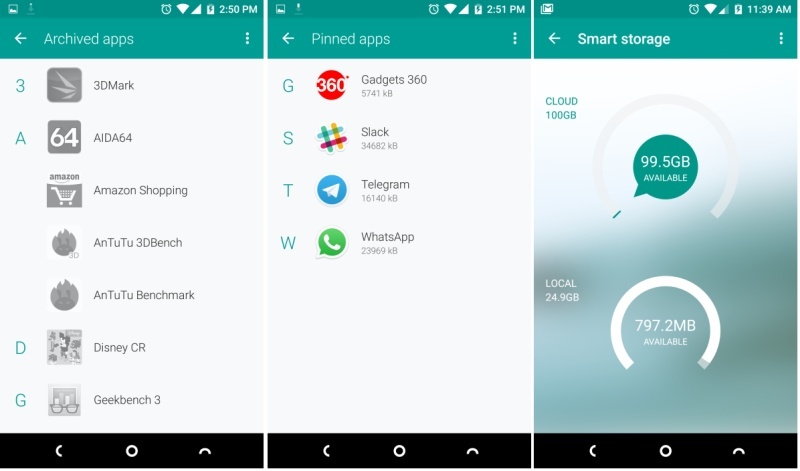 As your photos and apps begin to fill up the phone's local storage, Smart Storage will keep moving files back and forth between your device and the cloud. In reality, this does work well but with a few caveats, which could be potential deal-breakers depending on the type of Android user you are. First up, there isn't any granular control over how the Robin does its archiving. For instance, let's say you have a library of photos dating back a month or so. If the phone detects a sudden decrease in available local storage for any reason, such as you installing of a big 3D game or copying lots of videos. 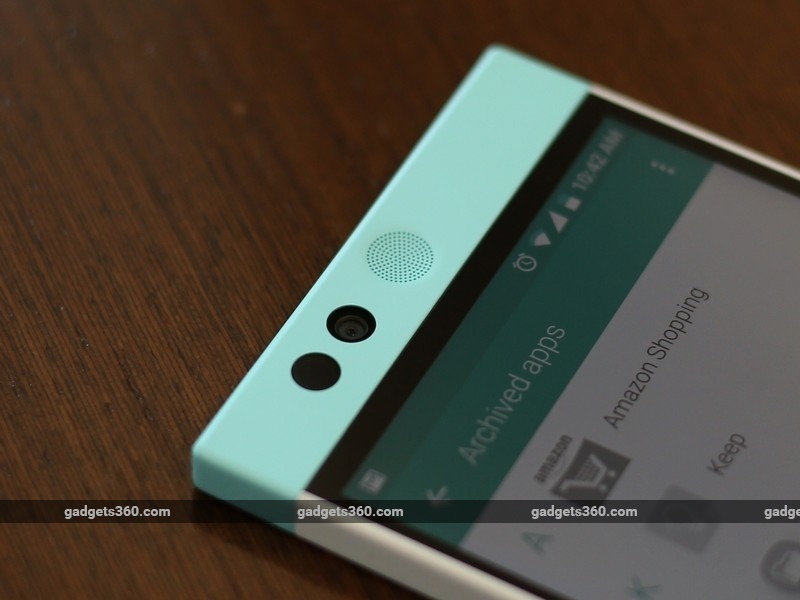 The Robin will automatically start archiving apps and photos. At times, we found that it had archived photos we'd taken only days ago, replacing them with low-resolution thumbnails. This means you can't share those picture without re-downloading them. We wish we could set a threshold for archiving photos, say only ones that are more than two weeks or a month old. Another possible issue that users might face is that if they fill the 32GB of local storage with lots of music and videos, there will come a time when the Robin doesn't have any more data to sync. You might run out of local storage completely and the cloud storage won't be used because those file types aren't supported and you can't unpin every single app. Take our screenshot as an example, where we have barely 800MB to spare and nearly the entire cloud storage space free, but the phone cannot move any more data. We're not saying everyone will face this, but it's a possibility. Nextbit says it will consider offering a premium paid storage tier in the future if users need it. However, we believe that until support for archiving videos kicks in, 100GB should be enough for even the most demanding power user. We had no real complaints with the Nextbit Robin during our test period when it came to it handling everyday tasks. It's not terribly comfortable for single-handed use due its boxy shape and size, but is comfortable to grip. 4G works well and voice calls are easily audible. The Qualcomm SoC in the Robin isn't plagued with overheating issues, but it does get warm when the camera is in use. It performs well in benchmarks too, and we got 69,644 points in AnTuTu and a score of 19,801 in 3DMark Ice Storm Unlimited. The stock video and audio players are pretty basic, without any equalizer presets or options to change the videos aspect ratio, etc. In fact, the gallery app lacks sharing options for videos, which means you'll have to do this via a file manager. In terms of playback, the phone handles 4K videos well although some audio codecs such as AC3 aren't supported even with third-party apps installed. The audio output through headphones and the stereo speakers is very good. The 13-megapixel rear camera gets phase detection autofocus but we found that it is simply unable to focus on close-up objects, so good macro shots are nearly impossible to get. Focusing speed is better with landscapes, but there is a bit of shutter lag even in brightly lit conditions. 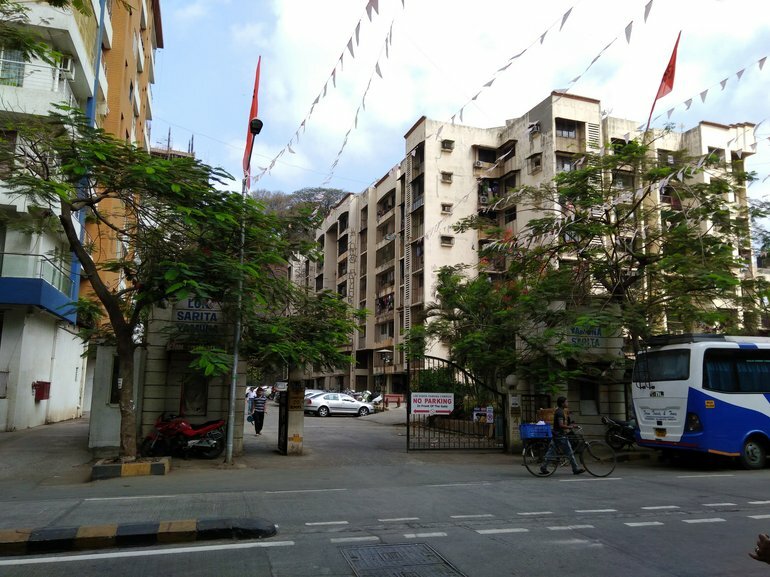 Colours are often exaggerated which makes scenes look artificial at times. 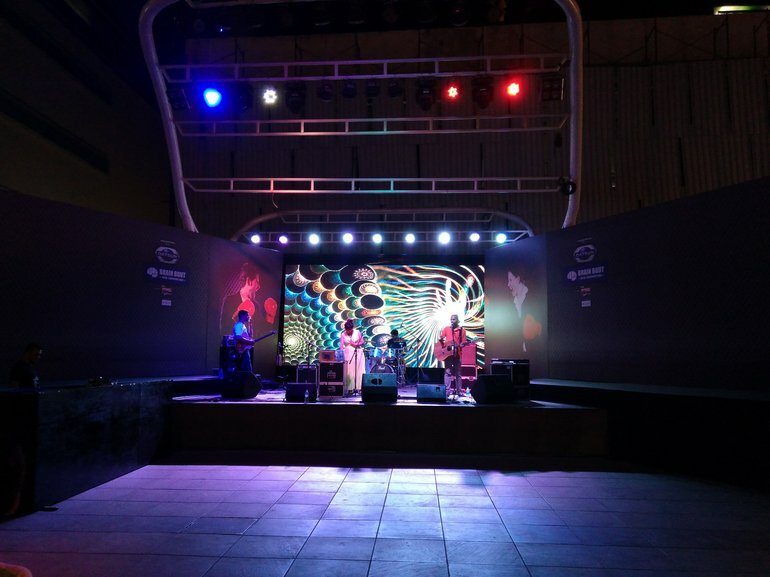 Low-light shots are look good on the phone's display but the level of detail isn't great once you zoom in all the way. Video quality on the other hand is better, as the phone manages a steady frame-rate even when shooting in 4K. The camera app is simple to use, giving you basic options for burst mode, HDR, and manual shooting controls. The latter lets you set the focus, ISO, white balance and exposure. The rear flash is fairly powerful for nearby objects and illuminates scenes well without blowing out much detail. The front camera does an okay job for selfies both indoors and outdoors. The phone's 2680mAh battery supports Qualcomm's Quick Charge 2.0 with a compatible charger. Since it's unlikely that people will have a spare one of those lying around, it's disappointing that Nextbit didn't include one in the box. We got 7 hours and 17 minutes in our video loop test which is about average. With regular use, we were comfortably able to get through a full work day but often needed a charge at night. The Nextbit Robin is a glimpse into a utopian future where high-speed Internet access is ubiquitous and things like "fair usage policies" and data caps are non-existent. The Robin would fit right in to such a world, seamlessly shuffling data between the phone and the cloud. It might work today in some countries, where speeds and data caps are generous enough to cover this extra activity but in India, it will take some serious convincing to get users to adapt to this style of mobile computing. You can set the device to use Wi-Fi only, but if you're outdoors and need an app that has been archived, you're out of luck. You also have to download the entire app with all its data, which might be quite a lot to download. 32GB of local storage isn't bad for a smartphone, but why didn't Nextbit also give users the ability to use a microSD or USB-OTG? Why go to all the trouble of setting up a dedicated cloud network and also taking on the responsibility of keeping users' private data safe? It seems like a solution to a problem that isn't really all that bad. With a microSD card, you can potentially get more space than what Nextbit is offering, not to mention the inherent benefits of having your data with you at all times, faster access, easier sharing, and no dependence on Internet access. Having said that, we applaud Nextbit for thinking out of the box and delivering something different. In its current state, the Robin could make sense for people who would like to have a lot of heavy apps or a huge photo library with them. Provided Nextbit adds more granular controls for Smart Storage and the ability to sync other types of content too, you'll truly be able to take advantage of the 100GB of cloud storage space. On the other hand, since there isn't support for archiving videos and other types of media right now, you could find yourself scrambling for space just as you would on any other phone. Even when that support is added, backing up videos could easily put a dent in the monthly data cap of your home Internet connection as well as your cellular data plan. If a friend ever walks into your home with a Nextbit Robin, be wary about sharing your Wi-Fi password! 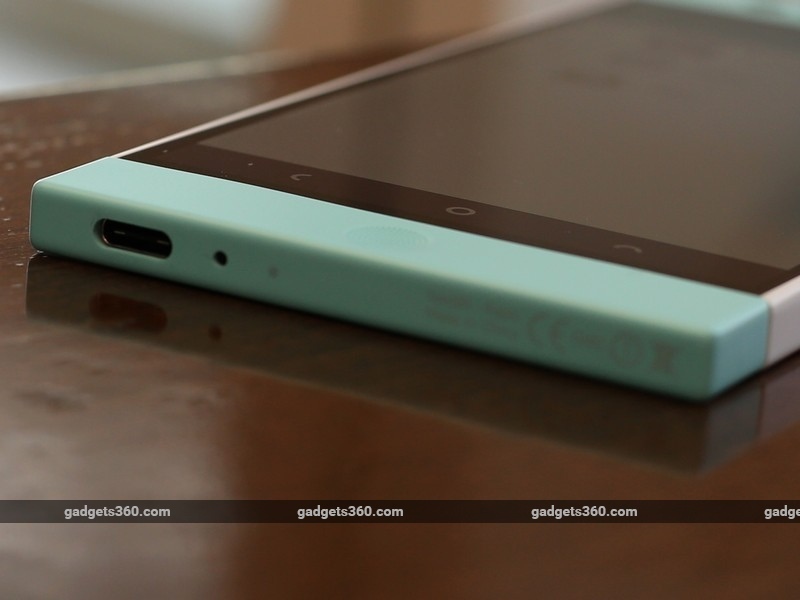 At Rs.19,999, the Nextbit Robin is aggressively priced given its feature set. The phone can stand on its own feet thanks to its refreshing design, excellent build quality, great display, stereo speakers and the unique cloud integration. The latter is a bonus feature especially considering that many other phones these days lack expandable storage. However, this phone does also have its share of shortcomings such as no USB-OTG support, an underwhelming camera, average battery life, and a lack of granular control over the Smart Storage feature. The bottom line is that Nextbit's cloud integration service, while certainly unique, is by no means a substitute for expandable local storage. The advantages of the latter far outweigh those of cloud storage for everyday needs. 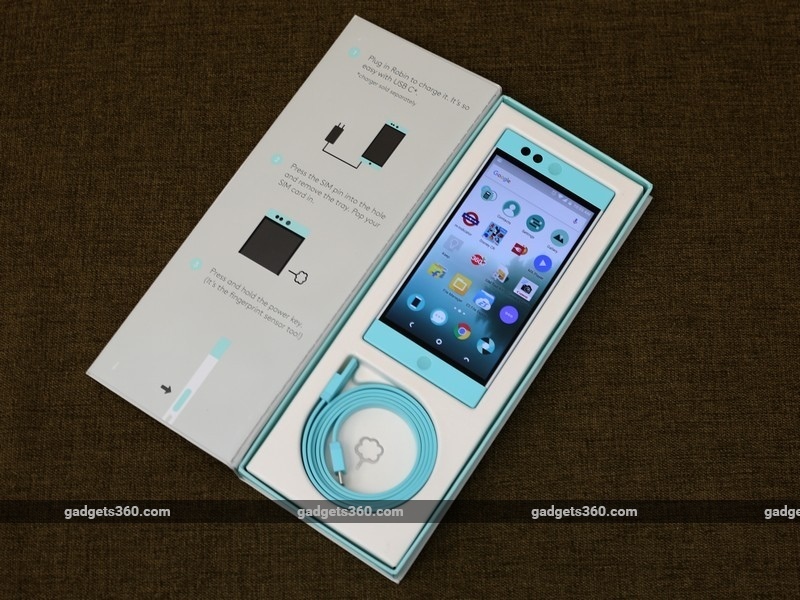 product The Nextbit Robin is a very interesting take on what smartphones could look like in the future. But is the world ready for it today?